First some really good news. Archie Newman and his Dad fished with me on the Wye during July and they both caught some really good barbel and chub. 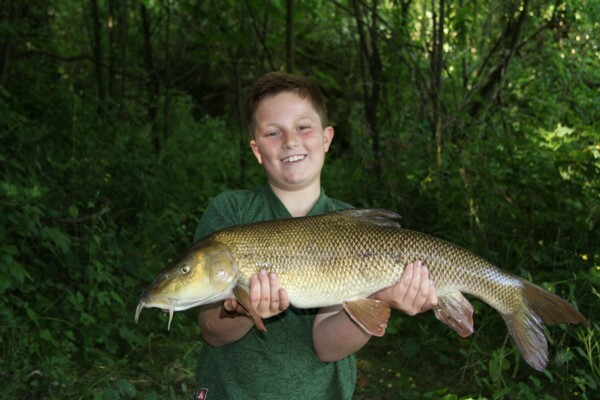 Archie caught the largest barbel of just over 9lbs. 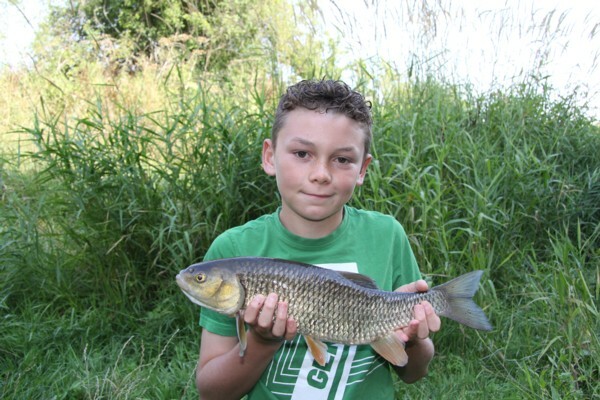 Here is the photo of the barbel. I had a couple of hours out on the Bristol Avon last week in search of a few barbel and chub. The river is still coloured with algae and spotting is very difficult. I managed to get one barbel of a about 8lbs feeding on some pellets. I could have caught it quite easily however I am guiding young Tyler later in the week so left it for him to catch. Last year stalking fish was made difficult by the constant rain and floods and this year it’s been the algae. Oh well once the air temperature cools and the river too then I hope normal services will resume. I only could manage 4 hrs of fishing. I found one swim I really liked and bait dropped some hemp and pellets and moved on to do another. Returning to the original swim where last year I had caught some decent fish things looked really good. It was quite shallow with a deeper run under the far bank, I say far bank it’s less than 20ft wide here. I started to get a few taps on the rod and hooked a small chub of about 2lbs. So at least the chub were at home, were there any barbel. I didn’t get time to find out! A huge bow wave came surging upstream and went behind a stack of reeds. There was a hell of a commotion and the river coloured up with the goings on. Yes an otter had come through the swim and probably took one of the fish I was feeding. The commotion continued for ages as I assume that it was chewing the fish. Time for a move me thinks. So I go downstream to the other swim I prebaited and cast out with a pellet with a pva bag of pellets of a similar size. Time was now drifting by and to be fair at 4pm in the afternoon with another hr to go I wasn’t expecting much. However a small chub again of a couple of pounds came along. It was soon time to pack up but just before I did another chub of just under 4lbs almost pulled the rod in! 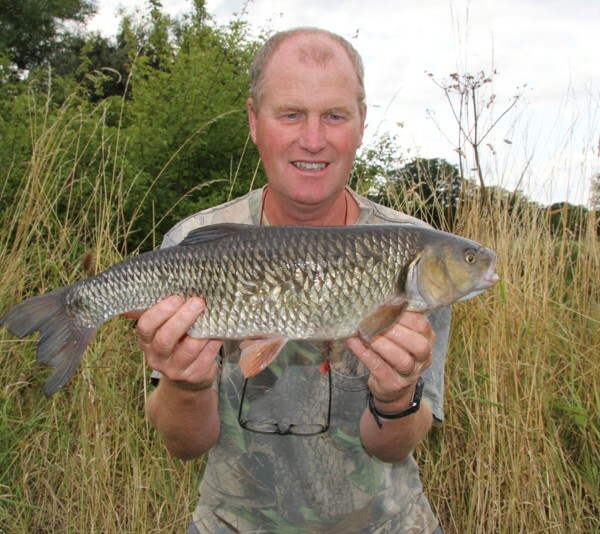 One of the local barbel anglers came along for a chat and said that he rarely fishes it these days as it had become pretty hard to catch a barbel. Where once he was catching 150 barbel each season he is down to about 10 now. So who says that otters don’t have an impact on the bio diversity of a river as the apex predator. 5pm came and I had to be off for a meeting that evening. 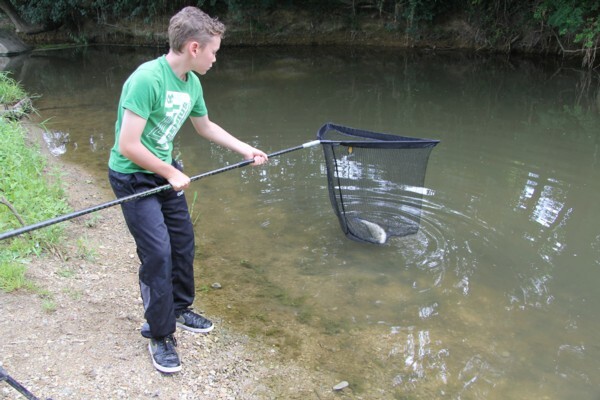 Tyler is a lad I take fishing each school holiday. Often we fish the lakes but on this occasion I thought the river might be a better. We visited a swim where normally we could catch a good few chub. 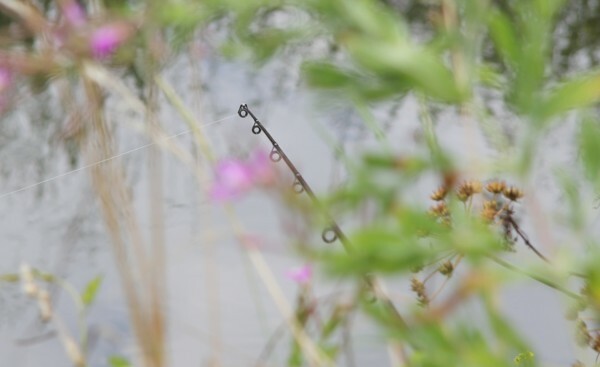 Again we baited with hemp in a couple of swims and tackled up. It was a straight forward bolt rig and pellet as bait. It wasn’t long before Tyler was playing and landing a nice chub of about 2lbs. So after 10 minutes he was very pleased. The swim is quite shallow here and often you can see the chub moving up and down the gravel but alas today the river still had that algae bloom. Tyler was doing quite well as after a couple of hrs he had 4 chub with the largest just under 3lbs. I visited the other swim we prebaited to find the bottom colouring up with fish scouring the river bed for hemp. So I suggested we look at putting a line in here. I said that the takes were going to be very savage when they came so he needed to be very close to the rod. He soon had the bait and rig in the right area. The rod was resting on some reeds in the process. Tyler always asks some great questions when fishing. He had not seen the bait dropper in action before and asked why was it used. He understood the mechanics of the thing but wondered why it was used rather than hand feeding in the hemp. So my answer was that hemp in the summer in particular was one of the best bait attractors around. Where ever the hemp went then the fish would follow. So by feeding by hand would be good on a lake for instance however on a flowing river you cannot gauge where the hemp will end up because of the flow and depth of water. Because of it’s great pulling power it’s so so important to be fishing where the hemp is on the river bed. 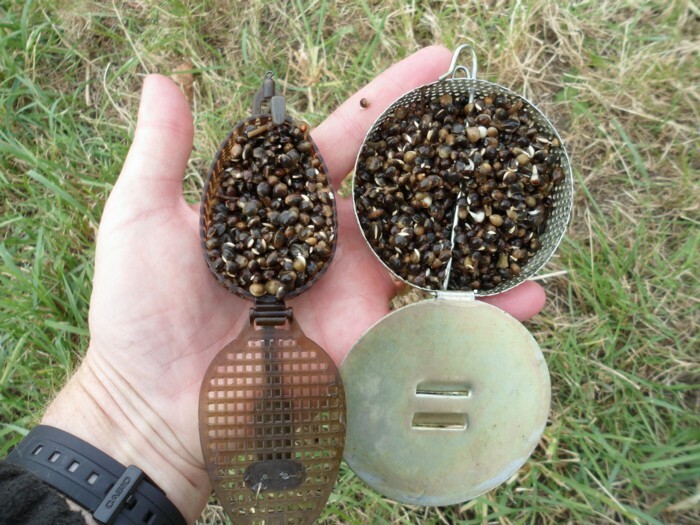 By using the bait dropper this ensures that the hemp lays exactly where you want it. A couple of different dropper I use. After explaining all of this the rod arched over and another chub came to the net. Next we visited the swim where I had seen the barbel a couple of days previous. A few pellets were fed into the swim and the normal couple of chub came along for a feed but no barbel. We waited for 20 minutes or so and then moved off to fish another swim just upstream but would return to see if the barbel was there later. A few pellets were thrown into the new swim which was very shallow. Soon 12 chub up to about 4lbs were confidently feeding with their tails breaking the surface of the river. The only problem was that it was impossible to fish from our side of the river so we had to wade across a small weir which had shallow water each side and was perfectly safe. Soon we settled behind some tall reeds giving us some cover and Tyler cast out. Now this swim has a tree root mid river so I said that he should hook and hold if he gets a bite to stop the chub from going into the snag. Well after the cast the chub melted back under cover. However the lure of the pellets and food was too strong and they came out for a munch. We could easily see where the bait was and soon a chub was right over the bait and whoosh the rod pulled around and Tyler was holding on trying to stop the chub from going into the root. To be fair with the chub pulling for freedom combining with the flow of the river I had to help stop the chub from finding the snag. Mission accomplished it was left for Tyler to play the chub to the net. It wasn’t a huge chub but still very satisfying to hunt down this fish. We both agreed that with fishing there can be long periods of waiting, then short periods of excitement when playing and landing a big fish. But with this the wait was just a couple of minutes and the playing and landing the fish about the same. We continued to fish the swim for about 15mins however the chub didn’t want to come out again so soon and the draw of the barbel downstream was too much. On returning to the barbel swim there was no sign of the thing and only the chub were feeding. So we left them alone and moved to another stretch of river. This stretch didn’t produce much for Tyler as he spent a good while asleep as the day before he was again football trialling for the county. The sun was high and hot which didn’t help the fishing either. However a good few chub to him and more learning along the way. 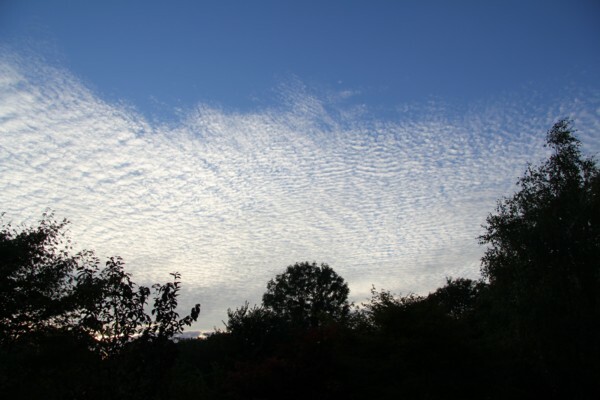 This entry was posted on Monday, August 12th, 2013 at 10:23 am	and is filed under Uncategorized. You can follow any responses to this entry through the RSS 2.0 feed. Both comments and pings are currently closed.